The forestry and other resource industries in Ontario and Western Canada will soon be able to boost efficiency by using FPDat/FPTrak, a unique, compact and rugged on-board computer developed by Montreal-based FP Innovations with federal government research funding. FPDat collects and analyses data directly from heavy forestry equipment such as feller-bunchers, harvesters, skidders, forwarders and also other mobile energy and construction sector machinery. It informs operators and managers in real time on parameters such as utilization, treated areas, GPS track logs, productivity, downtime causes and transportation. Other specialized features are being added. 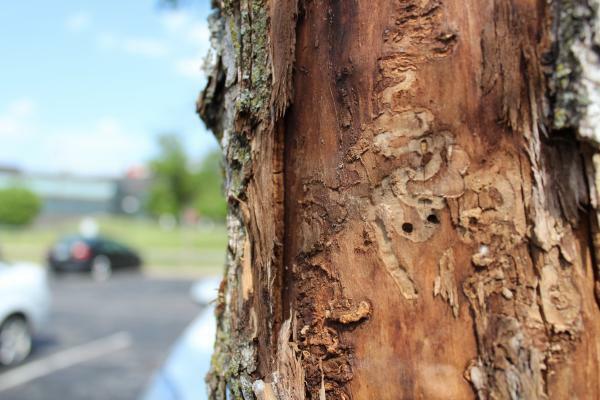 The emerald ash borer (Agrilus plantipenis), a recent insect immigrant to North America carried in with the wooden packing material of imported goods, is projected to cause over a billion dollars in damages annually over the next decade. International standards now require expensive fumigation or heat treatment of wood pallets and crates to prevent the inadvertent import of new wood boring insect pests in shipping materials. Preventative treatment is worthwhile when the cumulative damages of widening infestations are considered, report scientists in Ecological Society of America’s journal Frontiers in Ecology and the Environment. Squamish politicians and logging history buffs are hammering out a lease agreement to pave the way for a forestry centre. On May 20, District of Squamish officials voted to entertain an offer to lease land to the Sea to Sky Forest Centre Society. T… Once council approves the centre’s final design, the district and society will enter a 25-year lease agreement. …The Squamish Forest District consists of 1 million hectares. Industry officials estimate logging annually pumps $50 million into Squamish. It’s one the district’s largest industries, directly employing approximately 350 people in the Sea to Sky Corridor, industry officials estimate. VICTORIA – Forest industry workers and other users of B.C.’s back roads are reminded to stay in tune with upcoming changes to the mobile radio frequencies that help ensure safe passage on many of the province’s resource roads. A provincewide, safety initiative to standardize radio communications, call procedures and signage on forest service roads and select resource roads gets underway on May 31, 2014 in B.C.’s Cariboo region. Residents and First Nations of British Columbia must not acquiesce to the B.C. Liberals’ agenda for privatizing rights to public timber on Crown land through the creation of more tree-farm licenses. British Columbians own 93 per cent of the forests in B.C., a commons without parallel for size and abundance of ecosystem wealth, almost entirely comprised of unceded First Nations’ land. The provincial government is the public’s trustee of this vast forest commons charged with administering and caring for it in the public’s interest — not in government’s interest or in private interests. But the B.C. Liberals have plans to reward their financial supporters. BC forests are facing unprecedented challenges these days, whether it be the mountain pine beetle devastation of vast areas of forests, dwindling timber supply, mill closures, overharvesting, lack of reforestation and silviculture, cutbacks in forest service staff, gutting of forestry inspections, ramped up raw log exports, as well as various problems associated with climate change and “cumulative impacts”. Given all of this, it is strange that for over two years now, the BC government has been fixated on tenure reform as a priority. More specifically, it has zeroed in on the expansion of Tree Farm Licences (TFLs) as the magic elixir. MAPLETON TOWNSHIP – The young plants bask in the spring sun, forming neat rows in fields near Conestogo Lake. But this is no ordinary crop. In the coming decades, these seedlings will grow to form new forests where agricultural crops were once harvested. 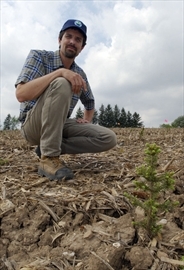 It’s an effort by the Grand River Conservation Authority to strike a better balance between forests and farmland in the area around the Conestogo Lake reservoir, an effort to improve water quality while increasing forest cover. Darcy Mitchem grew up riding her bicycle on a Weyerhaeuser Co. logging road near Toutle. These days, her daughter trains for cross-country by running on other Weyerhaeuser roads. Beginning Aug. 1, the Mitchem family will need to buy a $150 permit to venture on either road or elsewhere on Weyerhaeuser property, even on foot. Mitchem called Weyerhaeuser’s coming fee access program “an upheaval of a whole lifestyle of living in the country. You might as well live on an island if you live in Toutle,” with all the Weyco property around it, she said. m.
The U.S. Forest Service is moving closer to selling old-growth timber stands on roaded areas of Wrangell Island. Tongass National Forest officials have been planning the timber sale for years. District Ranger Bob Dalrymple says it’s moving closer to reality. “It’s a large timber sale on Wrangell Island. It was established … several years ago and the primary purpose of it is to ensure timber volume to support the timber industry,” he says. Officials will provide a sale update during an Economic Development Committee meeting starting at 6:30 p.m. Thursday, May 29, in Assembly Chambers. The 9th U.S. Circuit Court of Appeals issued a ruling regarding Ashland Watershed thinning Tuesday, causing thinning proponents and opponents to claim partial victory. The ruling shows thinning by the Ashland Forest Resiliency Project violates U.S. Forest Service standards designed to prevent soil erosion in the sensitive Ashland Watershed, said former Ashland City Councilman Eric Navickas and Center for Biological Diversity Senior Scientist Jay Lininger, who filed a lawsuit challenging portions of the thinning project. But the partners who have teamed up on the project said actual on-the-ground work is protecting soils better than is called for by Forest Service standards. This is the second contribution we have made to the Missoulian regarding Swiss forestry and land use practices while on faculty exchange from the University of Montana. Switzerland and Montana are similar in many ways: both are world-renowned for their beautiful mountains, derive significant economic benefits from nature-based tourism, and are concerned about conservation. In addition, the land available for timber harvesting is 71 percent publically owned in Switzerland and 70 percent in Montana. However, the area available for timber harvesting (i.e., excluding parks, wilderness areas, etc.) totals only 3.2 million acres in Switzerland compared to 19.9 million acres in Montana, and Switzerland’s population is 10 times greater. Conifex’s $100-million wood-fuelled power plant was put on hold two years ago because financing fell through, but it is now back on track. The B.C.-based company expects to be producing power at the Mackenzie site in northern B.C. by the end of September. …the Conifex plant will be one of the first major stand-alone biomass power producers since a plant was built in Williams Lake in the 1980s. …“In terms of a stand-alone electrical generating facility, this is certainly the first in a long time, and the biggest,” said Pat Bell, Conifex’s executive vice-president and a former B.C. forestry minister.